"I've never had a harder working or more knowledgeable workshop leader." I grew up in the rolling piedmont hills of Georgia, the child of farm children and the grandchild of farmers. My earliest memories of the natural world are informed by this heritage. As a teenager, much of my time was spent exploring the forests, wetlands, and river valleys of the northern and central parts of my native state. Later, during undergraduate and law school, my range expanded to include the mountains of North Carolina and Tennessee, as well as the swamps of the southeastern coastal plain. 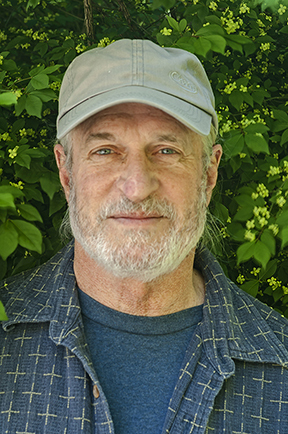 Don McGowan, PhotographerAs I moved into my working career, I discovered that rather than wanting to spend less time in Nature, I wanted to spend more; and a small SLR camera to document my travels became an integral part of my outdoor gear. Like most of my friends, my understanding of photographic technology was quite limited. My images, likewise, reflected this shortcoming; but making them was fun, and even if I did not completely understand how I had obtained them, I knew that I wanted to keep at it. In 1993-94 a sequence of totally unforeseeable events occurred that changed my life completely and forever and put me on the path that I now travel. I came to an understanding that being a professional nature photographer was exactly my purpose in being here, and each day since that time that is the trail I have followed. The images that we make are the reflections of our heart. From the moment we are born, and even sooner, we begin to receive impressions from the world around us; and, from those impressions, questions begin to be answered: What sort of place is this? Is it safe, or no? Does it mean me good or ill? What is this thing called beauty and how can I know it? What part do I play in all of this? At some moment in time, the impressions begin to coalesce into pictures, the world takes on form, we become aware of elemental design; and these things stand before us within a context of light and shadow that is constantly changing. We see this with our eyes, in our minds, and within the core of our being. And we respond. For some, the response is a verse, a song, the lines of a story; for others, it takes on shape and form: a bowl, the mouldings of a sculptored body; for me, it became a photograph. For I have found over the years that I best connect with the world through the creation of images; and I best share that expression - my love of this earth - through the eyes of a camera and lens. Welcome to my website. Welcome to EarthSong - Photographic Rhythms in Nature.